In preparation of your CCNA exam, we want to make sure we cover the various concepts that we could see on your Cisco CCNA exam. So to assist you, below we will discuss one of the more difficult CCNA concepts, CCNA Access Lists and Their Application. As you progress through your CCNA exam studies, I am sure with repetition you will find this topic becomes easier. So even though it may be a difficult concept and confusing at first, keep at it as no one said getting your Cisco certification would be easy! During our CCNA certification studies, we need to understand exactly why we would use an access list to restrict traffic. There is a whole chapter in most CCNA study guides on this topic. So we are going to summarize the concepts Cisco wants you to focus on for the certification exam. 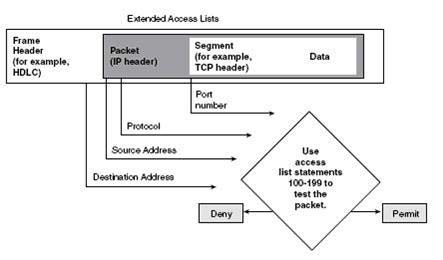 Access lists can be configured to permit or deny incoming and outgoing packets on an interface. 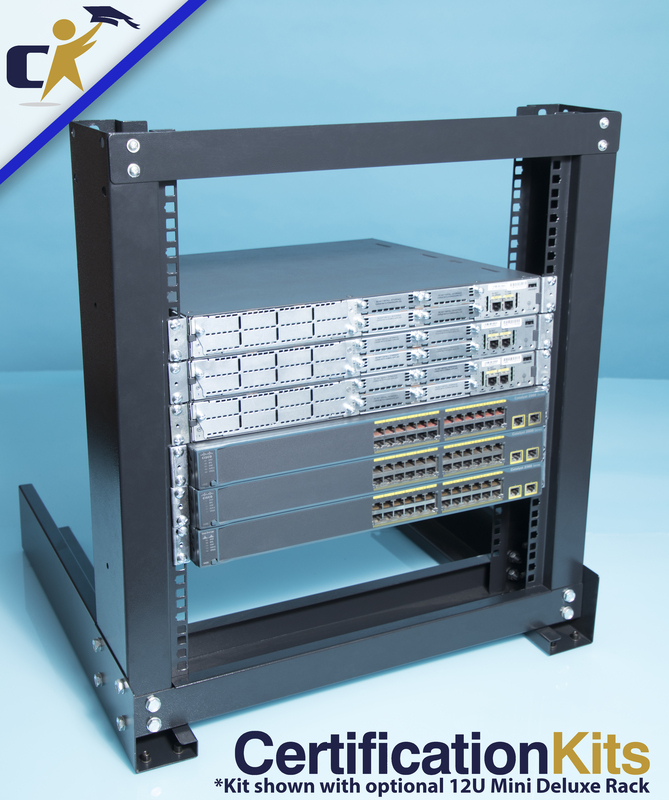 By following a set of conventions, the network administrator can exercise greater control over network traffic by restricting network use by certain users or devices. To establish an access list, you must define a sequential list of permit and deny conditions that apply IP addresses or IP protocols. Access lists filter only traffic going through the router; they do not filter traffic originated from the router. Access lists can also filter Telnet traffic in to or out of the router’s vty ports. Access lists allow finer granularity of control when you’re defining priority and custom queues. Access lists can be used to identify “interesting traffic,” which triggers dialing in dial-on-demand routing (DDR). 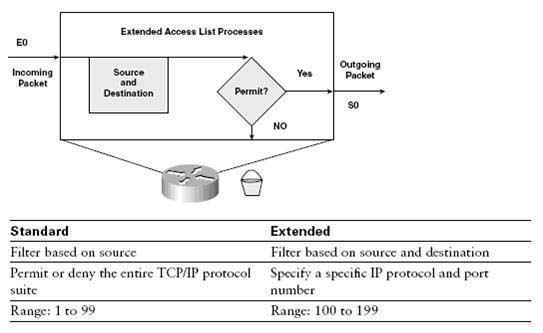 Access lists filter and in some cases alter the attributes within a routing protocol update (route maps). Standard access lists check the source address of packets. Standard access lists permit or deny output for an entire protocol suite based on the source network/subnet/host IP address. Extended IP access lists check both source and destination packet addresses. Extended lists specify protocols, port numbers, and other parameters, giving administrators more flexibility and control. Inbound access lists—Incoming packets are processed prior to being sent to the outbound interface. If the packet is to be discarded, this method reduces overhead (no routing table lookups). If the packet is permitted, it’s processed in the normal way. Outbound access lists—Outgoing packets are processed by the router first and then are tested against the access list criteria. Access list statements are operated on one at a time from top to bottom. 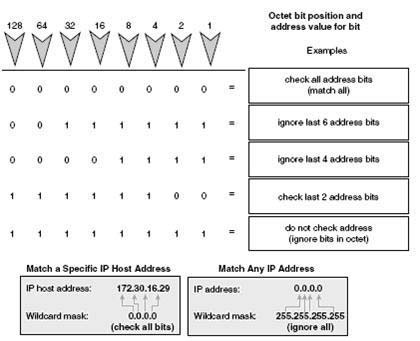 After a packet header match is found, the packet is operated on (permitted or denied), and the rest of the statements are skipped. If no match is found, the packet is tested against the next statement until a match is found or the end of the list is reached. An implicit deny statement is present at the end of the list. (All remaining packets are dropped.) Unless there is at least one permit statement in an access list, all traffic is blocked. Be sure to use the correct numbers for the type of list and protocols you want to filter. You can use only one access list per protocol, direction, and interface. A single interface can have one access list per protocol. Put more-specific statements before more-general ones. Frequently occurring conditions should be placed before less-frequent conditions. Additions are always put at the end of the access list. You cannot selectively add or remove statements in the middle of an access list. Without an explicit permit any statement at the end of a list, all packets not matched by other statements are discarded. Every access list should include at least one permit statement. An interface with an empty access list applied to it allows (permits) all traffic. Create your statements before applying the list to an interface. Access lists filter only traffic going through the router. The access list number entered by the administrator determines how the router handles the access list. The arguments in the statement follow the number. The types of conditions allowed depend on the type of list (defined by the access list number). Conditions for an access list vary by protocol. You can have several different access lists for any given protocol, but only one protocol is allowed on any access list (one protocol per direction per interface). For TCP/IP packets, access lists check the packet and upper-layer headers for different items (this depends on the type of access list, standard or extended). Standard access lists are assigned a number in the range 1 to 99. Extended access lists use the range 100 to 199. 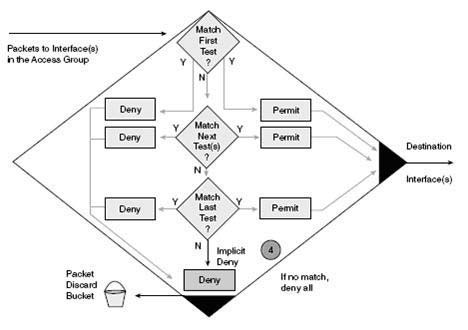 As soon as a packet is checked for a match with the access list statement, it is either permitted to an interface or discarded. It is not always necessary to check bytes within an address. Wildcard masking identifies which bits should be checked or ignored. Administrators can use this tool to select one or more IP addresses for filtering. Wildcard masking is exactly opposite of subnet masking. A wildcard mask bit 0 means check the corresponding bit value. A mask bit 1 means do not check(ignore) that corresponding bit value. To specify an IP host address within a permit or deny statement, enter the full address followed by a mask of all 0s (0.0.0.0). To specify that all destination addresses will be permitted in an access list, enter 0.0.0.0 as the address, followed by a mask of all 1s (255.255.255). Checking all addresses-To match a specific address, use host. For example, 172.30.16.29 0.0.0.0 can be written as host 172.30.16.29. Ignoring all addresses-Use the word any to specify all addresses. For example, 0.0.0.0 255.255.255.255 can be written as any. Access lists filter packets as they pass through the router. 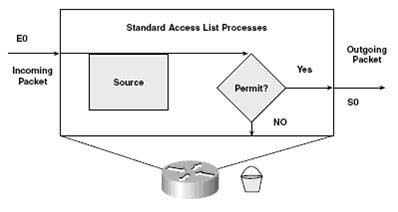 The two general types of access lists are standard and extended. Standard lists filter based on only the source address, and extended lists filter based on source and destination addresses, as well as specific protocols and numbers. Access lists can be set to either inbound or outbound. For inbound access lists, the packets are processed first and then routed to an outbound interface (assuming that the filter passes them). In outbound access lists, the packets are sent to the interface and then routed. If a packet meets a permit statement’s criteria, it is passed to the next statement. If a packet meets a deny statement’s criteria, it is immediately discarded. More-restrictive statements should be at the top of the list. Only one access list per interface, per protocol, per direction is allowed. Every access list should have at least one permit statement. For IP, standard access lists use the number range 1 to 99, and extended access lists use 100 to 199. Wildcard masking is used to filter single IP addresses or blocks of addresses. I hope you found this article on access lists to be of use and it helps you prepare for your Cisco CCNA certification. I am sure you will quickly find out that hands-on real world experience is the best way to cement the CCNA concepts in your head to help you pass your CCNA exam!